Just like anything, your WordPress blog also needs some maintenance, servicing and cleaning every now and then to keep it running smoothly, speedily and effectively. Some of the basic things like updating WordPress and plugins, and changing the passwords etc can be done manually; but some advanced things can be done using plugins, which would otherwise be irksome to do. We have a list of 10 Best WordPress Plugin to Clean your blogs. The plugins in this list would allow maintaining your WordPress blog by checking, scanning and backing up many aspects of WordPress . Check the list out as these tools would definitely make your life a lot easier. When you are changing the WordPress theme of your blog or are making some other changes, it is always wise to take down your blog for some time to avoid any unwanted changes or errors going out to the public. 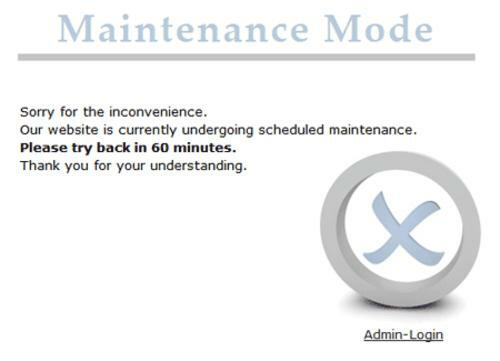 This is where this little plugin can help you out as it allows your visitors know that your site is currently under maintenance process and will be back soon. Everyone wants to keep their WordPress safe and secure from hackers. Repairing the damage done and restoring all the lost content can be really irksome and time consuming, so it is best to take precautions before. This plugin scans your website for vulnerabilities like file permissions in your website etc. Everyone should get this plugin to keep their WordPress safe from any threat. Backing up the data on your WordPress blog is really important. You can easily lose all your data in case of a hack or by any issue with your hosting company’s server. This can be disastrous, as you can imagine. So a really logical and wise thing to do would be to back up your data regularly. Doing this manually can be a tough and time consuming task, but you can always do it using some database management plugins such as WP-DB Manager. They not only allow setting scheduled backups, but also allow servicing and maintaining your database by giving you options to repair and optimize. 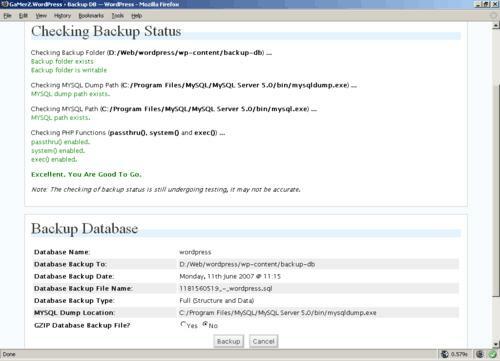 As the name suggests, XCloner Backup and Restore is a really cool tool for regularly backing up your complete WordPress data, including the themes, plugins and but uploaded files and content. It not only backs everything up but also restores it. So after using this plugin you won’t have to worry about your website’s data anymore. Akismet needs no introduction. It is the plugin which stops all the spam comments. But you should always make it a point to check for spam and clear out those flagged comments. The comments table in the database mostly takes a lot of space and can be a problem during backing up as it takes a lot of time. So it is always advisable to get rid of those spam comments. Post revisions can take up a lot of space of WordPress database, so getting rid of the old useless drafts can really help you keep the database bloat free. 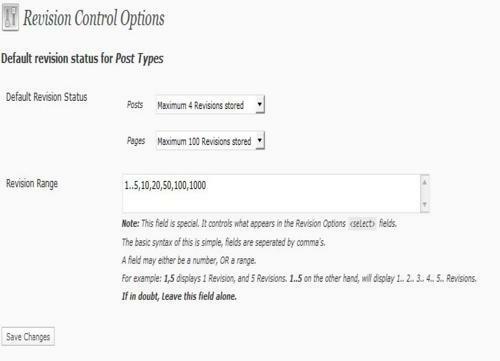 This awesome plugin allows setting global limits on post and page revisions, and option of deleting old revisions on a per-post basis. It is definitely a must have for everyone. The name says it all. This plugin check your website for broken links i.e. those links in your content which link to some old posts that are no longer available. It not only lets you know of all the broken links present on your website but also checks within comments and finds out any missing photos. 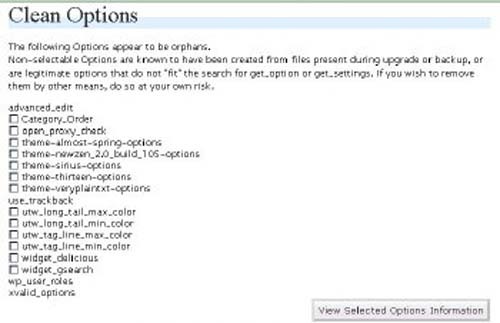 On installing a plugin or theme, sometimes their options are saved in your database. Good plugins always clean everything when they are deleted but some other will leave their options which would bloat up your database. Clean Options is a really cool plugin that helps you checks and remove all these unwanted and useless options. Websites which have many authors are quite hard to handle as you have to set limits as to who gets how much access. This is where User Role Editor plugin can come in ha handy as it allows determining exact specification of access. If you have got a few WordPress website of your own or manage websites of your clients, then performing all these maintenance tasks on each site can be very irksome and time consuming. So one plugin that can help you do everything efficiently is the ManageWP plugin. It behaves as a center where you can remotely manage all your WordPress websites from one dashboard. Hey, I was searching these plugins from long time..Finally today i get it. One security concern i had in mind, can we change the wp-login to other name? Great post! I have used many of these. A quick note; when all of the WP timthumb.php hacks were happening a website I did got hit. Naturally, I fixed the issues but their dev team said that I installed possibly malicious content onto the site; that content was specifically WP-DB Manager. I love the plugin and still use it regularly but I turn it off when I’m not using it because it does leave the site open to direct hacks on your database if you are not careful. Hope these help some folks! Not trying to steal your thunder, I just learned all of this through trial and error and these are some of the better plugins I found. Again, great post, I read them regularly!